Abstract: Partnerships are complex and we can argue that like many other human relationships depend as much on the attributes, characteristics and accomplishments of the partners as they do on the processes which bring them together and encourage them to commit to a stable and productive partnership. The author draws on her experience of a multi-stakeholder partnership in Romania to explore this notion and offer some observations on building long term partnerships. My experience over the last few years as the CEO of the National Association of Public Libraries and Librarians in Romania (ANBPR), which is performing a national partnership brokering role, has confirmed to me the value of building long term collaboration. It has given me opportunities to observe how partnerships come together; what it takes to keep partners engaged and committed in order to build long term relationships; and the role individuals and organisations assuming a brokering role play in this. In this article, I draw out the key observations and reflections I have made as a result of my hands-on experience of the Biblionet – World in My Library – partnership in Romania. Although it may not be popular to use metaphors to explain what occurs in partnerships, it can help to use those which typically characterise human relationships to understand some of the actions and behaviours we see in multi-stakeholder partnerships. How do partners find each other and come together? What does it take for them to stay together during the lifetime of the project?. Or are partnerships like a trial marriage, where people want to see how it develops before they commit fully; should they be as one? Do partners enter a partnership to then find it is like giving a blank cheque? It is generally accepted that multi-stakeholder partnerships can deliver more impact than a single individual organization or sector. Collaboration can give you access to unfamiliar places and people or to expertise and resources you might not have. The knock-on effect of working with others to deliver success can be equally positive on your credibility as a brand and as an organization; and ultimately, it makes you and your project stronger. The choice of partners, however, is critical to such success. Strength comes from having drawn together the best set of partner organizations. How the identification and selection of such partners works may differ. It could be opportunistic – where the coming together of potential partners is a consequence of a serendipitous meeting where they have shared some common interest or need and then convert this into a collaborative initiative. The more common scenario, however, is likely where the search for partners in the early stage after ‘scoping’ a partnership is either instigated by one lead partner or driven by the demands of a particular project. For a broker facilitating the instigation of a partnership, the choice of partners may involve pragmatic arrangements and well thought out strategies, where the emphasis is on identifying the types of partners who would add value, in exploring the different options available either for building on existing or proven contacts or seeking new ones; and in selecting the most suitable partners to secure their active engagement with the project and the partnership. The lead partner may have views but is open to exploration of the different options with the support of a partnership broker and/or potential partners. In the case where a particular project/programme has been designed and approved, the specifications for its implementation may have already been defined, including the configuration of the partners – types and roles – needed to deliver it. This could happen when a programme has already been delivered elsewhere through a partnership and is being replicated in a new area with local partners. Or where a decision has been taken, perhaps by a donor or an instigating partner, to use the same approach to deliver a programme in multiple markets. This was the case with the Biblionet – World in My Library partnership. My organization, ANBPR is one of the partners. The Biblionet program is part of the international Global Libraries initiative  of the Bill & Melinda Gates Foundation , which aims to provide access to information through technology in public libraries for disadvantaged communities worldwide. As a global partnership started in 1997, the program currently involves several partner organizations in 14 countries including Romania. Biblionet is a national program and the largest one funded from a private source in Romania. It will last for five years and involves an investment of US$26.9 million from the Bill & Melinda Gates Foundation through the International Research & Exchanges Board Foundation (IREX – which is a partner in the Global Libraries Initiative in three countries: Romania, Ukraine and Moldova). The main partners in Biblionet in Romania are the Ministry of Culture and National Heritage, the Ministry of Communications and Information Society, Microsoft, EOS Foundation (Educating for an Open Society), ANBPR and the Romanian public libraries. Biblionet focuses on the introduction of ICT (Information and Communications Technologies) equipment and technologies in public libraries: the partners have equipped over 2,300 public libraries with ICT devices, facilitated the training for over 3,000 librarians in new technologies and contributed to the development and diversification of modern library services, providing access to users of all ages nationwide. ANBPR’s involvement in the partnership has given me valuable insights. On the one hand, it has helped me understand how we ourselves contribute to the partnership – what we bring to the table. On the other hand, it has also been an opportunity to observe and learn from the Global Libraries Initiative about the importance of building long term partnerships. ANBPR is both the representative forum of public librarians in Romania and a national broker of partnerships. In this capacity, partnerships represent the most practical and the most effective way of responding to various opportunities and to accessing new markets. We see partnerships as a near-mandatory prerequisite for our organization’s growth and development. Through skilful and consistent partnership policies, ANBPR has been facilitating and building cooperative relationships for almost 24 years. It has delivered a wide range of projects through partnerships, including training courses, professional events, campaigns for accountability, best practices sharing, e-health, and niche social services for vulnerable groups. As a national broker of partnerships, ANBPR has facilitated and established creative and complex alliances with a series of organizations, ranging from professional associations and foundations to non-profit and other entities involved in community development, to several publishing houses, the representatives of voluntary organizations and the business environment. Through each of these partnerships, ANBPR has sought to consolidate its position as an eligible partner of strategic importance both for its core business area as well as for community development, with the support of technology. About 3,000 public libraries nationwide already have lasting agreements and protocols with diverse entities, ranging from the central and local public administrations, NGOs and educational institutions to important business representatives. Regardless of the line of business to which they belong, partners have contributed to more effective and efficient management of resources, delivering substantial impact in the community and in significantly lowering the costs of achieving goals. One long-term – and the most consistent partnership generating the best results – has been ANBPR’s partnership with the IREX. This, combined with our track record in brokering and partnering, has been what we bring to the table in making the implementation of the Biblionet program possible. Being at the table, of course, is also an opportunity to observe and learn from others – in this case, about the Global Libraries Initiative, the Bill & Melinda Gates Foundation and Beyond Access  and how these encourage long term collaboration. Over the years, the success of the Global Libraries Initiative has been attributed to its inclusive approach, based on building partnerships with governments and other public and private funders to expand access to technology in public libraries, foster innovation in libraries, train library leaders; and on advocating policy changes that benefit public libraries. To support its strategy and reflect the Foundation’s overall vision, it strives to choose strong library leaders and then equips them to foster partnerships in their respective countries. As such, it reflects the Foundation’s emphasis on innovation and cooperation: to support creation and the testing of new service models, and to engage community members and other stakeholders in the design and delivery of library services. The Foundation also uses advocacy as a tool on a large scale to ensure the sustainability of its work around the world. It starts from the assumption that a one-time investment by a foreign donor cannot and will not bring about further development, and hence, local and national partnerships are necessary. To make its case, the Foundation encourages its partners to gather data and evidence – to measure the impact of public access in libraries, to strengthen their advocacy skills, and to support policy changes which benefit community development through libraries. Whereas the Global Libraries Initiative provided me with insights on partnership workings, my observations of Beyond Access suggested that it was encouraging sustainability by assuming (what I would see as) brokering/facilitating roles. Given that my own organization, ANBPR, is a brokering organizational, this is of interest to me. In addition to being a partner in the Global Libraries Initiative in Romania, IREX is also the international lead for Beyond Access. It exemplifies activities which, in my view, promote long term collaboration focused on sustainable outcomes. With the support received from the Gates Foundation, Beyond Access is able to facilitate an online community of practice, and provide funding, travel, and training opportunities. Through its Friends of Beyond Access initiative, international development practitioners who understand the role of the modern library and who can provide practical guidance, connect with local partners and integrate libraries into their strategies and projects. My own experience suggests that although professionals may already be aware of the potential of libraries in fostering economic and technological development, governments and international aid organizations may be less involved. This is also recognized by Beyond Access. It hosts conferences and discussions, and participates in international events. It encourages dialogue, assembles a community, and facilitates partnerships between libraries and non-governmental organizations, development practitioners, donors, and at all levels of government. The initiative documents and promotes innovative ideas; produces reference materials; and it builds its case by gathering examples of how libraries contribute to development goals. By working with governments and aid organizations, Beyond Access helps identify ways in which public library systems can contribute to achieving local development goals, advance national digital inclusion, and meet Open Government Partnership commitments. In order for a public-private partnership of the magnitude of Biblionet to be sustainable long term, we need partners to take on significant responsibilities and risks. At the same time, it requires a very agile and knowledgeable broker to provide the depth and breadth of interventions needed to support it and good working knowledge of the capabilities of all the partners. Above all, it needs a broker with good interpersonal skills who can help navigate between the personal and institutional agendas. He/she also needs to be the “conscience” of the project, remaining impartial and resistant to any pressure, all the while keeping the interest of the partnership project front of mind. These were the attributes which ANBPR could contribute when it assumed the role of a national level facilitator for the Biblionet partnership programme in Romania. They were particularly relevant when it became necessary to address several challenges in the implementation phase, arising from the objectives set initially by the partners. ANBPR had to become an “invisible hand” that provided some practical skills and visionary insights, putting together resources, helping define the organization, its goals and desirable outcomes for beneficiaries and found the perfect pairing of partners’ skills and the strategic objectives of the project. As the main broker, ANBPR also had to consider the importance of building “trust of capital”. A public-private partnership involves a permanent transfer of trust between partners, where there is confidence in sharing both the costs of the investments and the risks associated with implementation activities. The Biblionet partnership structure did not exactly follow the typology and the steps of a typical public-private partnership. In Romania, there was no need for prolonged negotiations and political acceptance because from the very beginning, there was a common will and a good understanding regarding the mechanisms of the program. Trust depends on supporting the principles and ethics of good partnership behaviour. Neither we nor the partners wanted the partnership to be “just for show”. The Romanian program of introducing technology into libraries brought together ambassadors with the same ideas and values and professionals with converging goals and missions. In multi-annual partnerships such as the Biblionet partnership, the behaviour of partners can change. Just like in a marriage, in the first months, the partners go through a “honeymoon” period, where each partner tries to impress the other with benefits and reasons why their collaboration is desirable. Over a period of time, this “capital of confidence” may go down, and some divergent interests, suspicions or backstage games may start to appear, which could shake the partnership. If the partnership was established responsibly on a solid foundation and not just for the sake of show or selfish gain, such problems would be minimised. If, however, the partners gave or received weak promises and loose commitments, they may find that they have signed a “blank cheque” in the trust stakes. The “blank cheque” in a partnership focuses mainly on the unpredictable nature and uncertainty regarding the future of the partnership. If there is personnel change or if there is a natural redefinition of roles and responsibilities, then we may also see a process of continuous reconfiguration of the relations between the partners. The partnership could permanently put partners in new situations, both in relation to other partners and in relation to themselves. In a long-term partnership, the partners develop a so-called “attachment” to the mission and values ​​of the project and, ultimately, to their co-partners and the partnership as a whole. The “attachment theory” in partnerships explains why partners, having worked together in a successful partnership, will seek to replicate the same partner formula or something similar in their future projects. As in social life, the affinities and the common values in business partnerships are constants in the collaboration process and key factors in preserving the integrity of the partnership. Within the Biblionet program, I understood the importance of the congruence of interests and objectives between the program partners and how reassuring it is to belong to a consortium of partners for whom the professionalism and ethics are key words. The Biblionet community – and here I also include the partners – is a heterogeneous and yet organic community, with many voices and individual characters mobilized by a common spirit and the noble cause of developing strong communities in Romania. Since its inception, ANBPR has promoted cohesion of the ideas and expectations of its members. In the future, we want to continue to offer both the Romanians and our foreign partners the opportunity of good collaboration. For that, we intend to develop new collaborations, in joint partnership formula, in order to attract investment and generate positive changes not only in the area of libraries, but also in public services and in community development. I have to admit that on the one hand, it is a daunting task to pragmatically analyze the deep mechanisms of a multi-partner partnership based on one’s own observations and experiences, such as those described in this article. On the other hand, it is important for me to recognise that, having invested energy and confidence for several years in establishing the partnership, it is very difficult not to let myself be driven by excitement, emotional judgement and feelings. Is this how brokers are meant to feel? Ioana Crihana has more than 15 years experience in highly competitive business entities, in various leadership positions: a government institution, a national Newspaper, a well-known Romanian Branding & Advertising Agency, a multinational ICT corporation and in the most representative National Library Association in Romania. Ioana has expertise in creating, restructuring and revitalizing different products, services and organizational structures, and, also, in the implementation of business plans and strategies for sustainability, both in private and institutional environments. 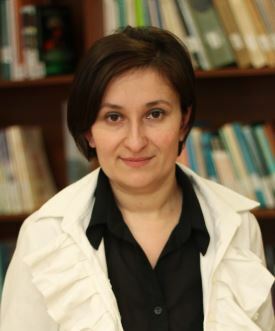 As the Executive Director of the National Libraries and Librarians Association in Romania, she has been involved in a series of partnership brokering activities in order to implement the most important national programme of IT competences for public libraries – BIBLIONET – The world in my library, within the Global Libraries Initiative, with a budget of 26.9 million US dollars.